I have returned to issue a part two to the Transnational Korean Conference to give an overview of the second day of the conference. On this day, various professors from across the US sacrificed their time to come to UNC to present their respective talks on aspects related to Korean culture with a focus on media. Unfortunately, I couldn’t be present for all the panels but the ones I was able to attend were all interesting in their own right. For instance, my favorite panel was the second one with Professors Heekyoung Cho and Haerin Shin who presented on their own respective forms of media. Professor Cho did how webtoons, Korean web comics, function as a new cultural medium while exploring the relationships and ecology of webtoons amongst other global platforms in comparison. For instance, in 2016, a study showed that the majority of Korean elementary students wanted to be a webtoon artist in the future. So who knows? Perhaps just as Japanese manga has become globally distributed and accepted, Korean webtoons will rise in popularity around the world? On the other hand, Professor Shin presented on the post-IMF cinema focusing on the popular 2016 zombie flick, Train to Busan, to highlight how South Korean cinema can allude to reality because, yes, even a zombie movie can be seen as a political critique on the state of a country. Significant events in recent Korean history were also highlighted during the talk including former South Korean president, Park Geun-Hye’s impeachment and the 2014 Sewol Ferry Disaster which some people believe was alluded to in Train to Busan though the director of the movie denied this was his intention. In either case, Professor Shin’s talk reiterated how important creative outlets like movies can still present a thoughtful critique and representation of current and past world affairs while still providing entertainment for the general public. After another stimulating panel focused on Cold War media, the conference ended with closing remarks from our very own Professors Ji-yeon Jo and I. Jonathan Kief. I would personally like to thank them and everyone else who had a hand in organizing this conference. Thank you to the speakers who took their time to travel all the way to UNC Chapel Hill to present their papers and topics to our student body and professors who I’m sure enjoyed their talks and left with a more thoughtful mindset to the topics presented at the conference. On March 28th and 29th, the Triangle East Asia Consortium (or TEAC) hosted the Transnational Korean Cinema and Media Conference at the FedEx Center here at UNC. I was fortunate enough to attend both days and though I wasn’t present the whole day on Friday, I still got a lot out of the different panels and discussions that took place. The first day of the conference focused on screening films from directors Juhui Kwon and Nick Neon. Let me give a short introduction from the pamphlet I received at the conference which describes these creative indie filmmakers and their films. 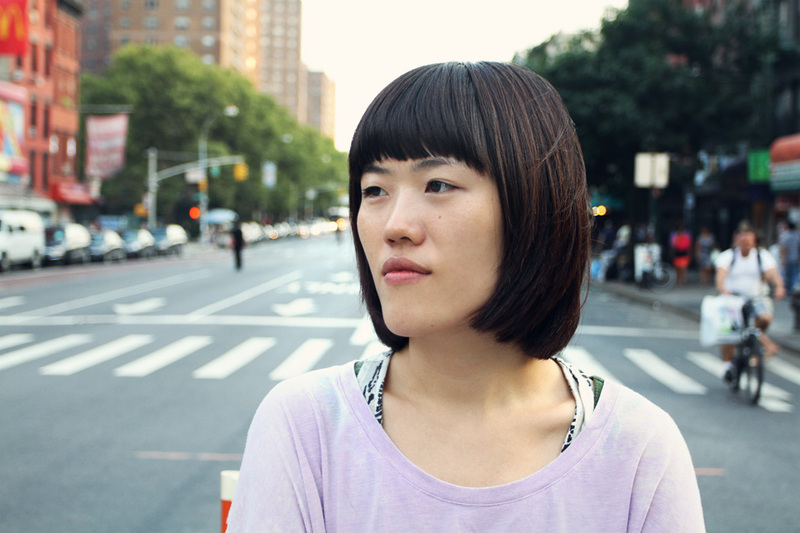 Kwon is an independent writer-director based in NYC, hailing from South Korea. Her early films have stemmed from a diaspora theme and essay film genre. A short film about a recent retiree named Frank who lives alone in his Staten Island house. He spends his free time staking out the house of his new Korean neighbors in the hopes that he will find something “nefarious” about them. But when he gets caught, his plan gets flipped upside down. This is a slightly longer film, clocking in at about an hour. It is about an aspiring film student, Soohyun, who is stuck making her first feature film. Her main obstacle is that her search for meaning only turns into nihilistic thoughts. The more effort she puts into making the film, the less there is that she wants to make a film about. Will she be able to get out of this block and become a real “artist?” We will find out by sneaking a peek into her journals. Neon is an award-wining Korean American filmmaker and actor. 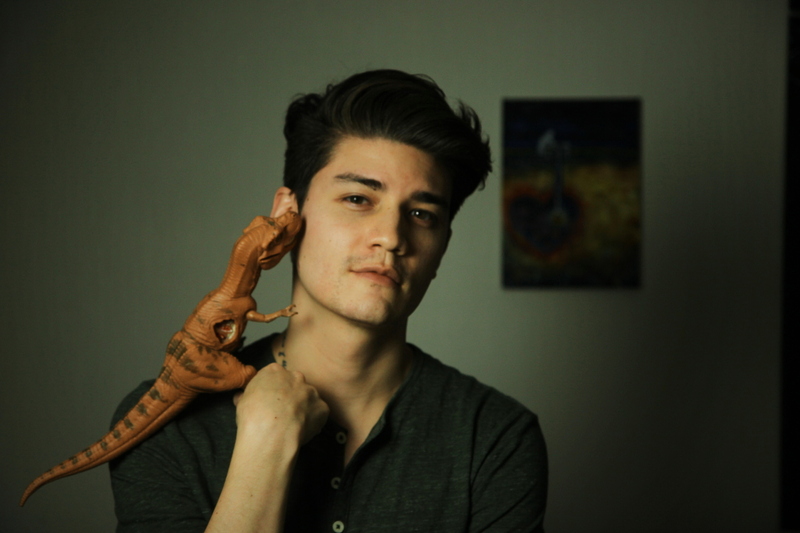 He is best known for his short films following Jimmy Park, a 20-something and lost gay man struggling with identity (he is played by Neon himself in the films). Seoul, 2013. Jimmy Park has had a really rough night after confronting his cheating boyfriend and getting himself kicked out of a bar by a drag queen bouncer. Waking up the nect evening to a quiet blue, he heads to a river where a chance encounter with a stranger reveals deeper issues he must confront on the path to adulthood. A direct sequel to Ultra Bleu, Jimmy Park’s visiting home for the first time in years and has nothing to show for his time overseas. But old tensions come to a head when he confronts his homophobic sister over a deeply, dysfunctional family dinner. On New Year’s Day 2014, Jim will learn that the first step to finding our path is admitting we are lost. Personally, I enjoyed all 4 movies though admittedly I found the visuals and coloring of Neon’s films to be quite beautiful and unique while Kwon’s films really had this quirky Koreanness that was entertaining and interesting to watch. While both explored different narratives and ideas, the themes converged to show different sides of a diasporic nature which is one of the main themes explored through these film screenings. During the Q & A held after the screenings, Neon admitted that he hadn’t seen his films being diasporic in nature but really stemmed from a need to tell his story in a way that is shown through his particular perspective. But he did go on to say that this diaspora element is important as it gave him an outsider’s perspective that he grew to like as he got older. As for Kwon, she was inspired from her own personal observations living in New York where she felt a lot of Korean-Americans are “living in a bubble” a quote from her friends. Since this seemed to be the case, she wanted to show a part of what was held inside the minds of Korean-Americans as best as she could through the movies she wrote and directed. Honestly, I could go on and on about these two filmmakers and the screenings held that day but I will refrain from that for now and tell you, the reader, to go and discover more about Juhui Kwon, Nick Neon, and their films yourself. I’ve linked their personal websites as a starting point but Google is also your friend and I highly advise you to use it because both their visions and stories deserve more attention and even if it’s just one more person than who knows how much of a difference that can really make? Next, stay tuned for part 2 of this post where I will be discussing day 2 of the conference and some of the panels presented by some very intelligent and passionate professors. Q1: What is the purpose of this club? This club was started to help expose the UNC community to Persian culture and serve as a place for UNC’s Persian community to get together to celebrate our culture. Our goals are to show the UNC community the joys of Persian culture and promote understanding and appreciation of Persian language, food, and celebrations. Q2: What are the usual activities of this club and what special activities do you do during the year? 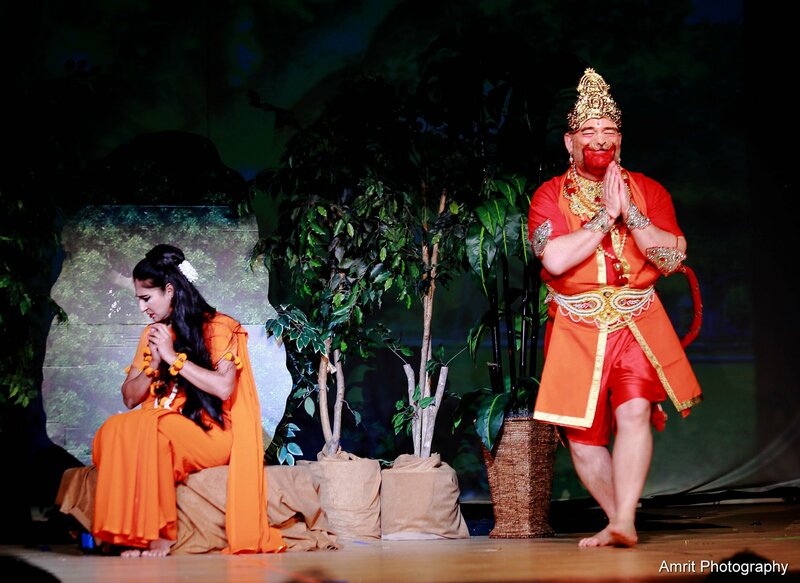 PCS’s main events are 1001 Nights in the fall and Persian New Year or Nowruz in the spring. 1001 Nights is a celebration of Middle Eastern culture centered around the ancient collection of stories by the same name. For this event we collaborate with other Middle Eastern student groups on campus and in the community to make it a cross-cultural event. Nowruz is the Persian New Year, which happens on the spring equinox. It is one of the most significant Persian holidays and is a great event for the Persian community and others to come together and look forward to what is to come in the new year. We also have some smaller events through out the year targeted more directly toward club members, like potlucks or dinners out. Q3: What do you think is the selling point of your club? We are a groups of students who likes to share our culture with others, and we are always looking for new people to do this with! Q4: What do you hope for the future of this club? We are looking forward to engaging more with other parts of the UNC community and Chapel Hill more broadly and hoping to keep having the events that we have enjoyed in the past. 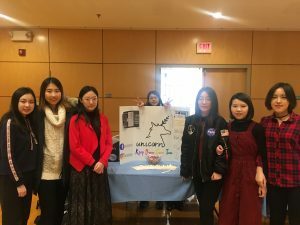 I was fortunate enough to be able to email some questions to the Chinese Undergraduate Student Association or CUSA to interview them about their club and the types of activities they do. These are the responses they gave with minimal editing. This club is dedicated in bringing together those interested in Chinese culture or language at UNC, whether it be students or people in the community. CUSA serves as an educational instrument by organizing social and learning events that promote awareness and appreciation for Chinese culture. We also aim to foster long-term relationships of those within CUSA through the sibling program, as well as collaborations with other organizations. CUSA hosts monthly events that strive to create authentic experiences of the Chinese culture. Past events have included dumpling making, mahjong game night, badminton, lantern making, fan painting, ramen bar, and more. Our two most notable and long-standing events are the annual Mid-Autumn Festival and the Chinese New Year celebration. Both include dinner alongside an evening of performances to celebrate the traditional holidays. CUSA is unique in that involvement in the club does not require membership and is open to the public. The intention is so that all people of the community are welcomed to attend the events, regardless of occupational status. Additionally, all of our events, besides the Mid-Autumn Festival and Chinese New Year, are completely free. We hope that this would allow greater focus on building relationships between club members and their community. In the past few years, CUSA has been experiencing tremendous growth and widespread publicity. Because so, our shows have been sold out annually. We would like to upgrade the venue where the shows are held so that more people may be able to attend. In addition, we hope that our traction within the community would enable us to garner sponsors so that we may continue providing free cultural experiences. Through promoting awareness and appreciation for Chinese culture, we look forward to making an even bigger impact in the community. We are proud to announce that the Asian Studies Department will be offering Elementary Korean I and II as summer 2019 courses. 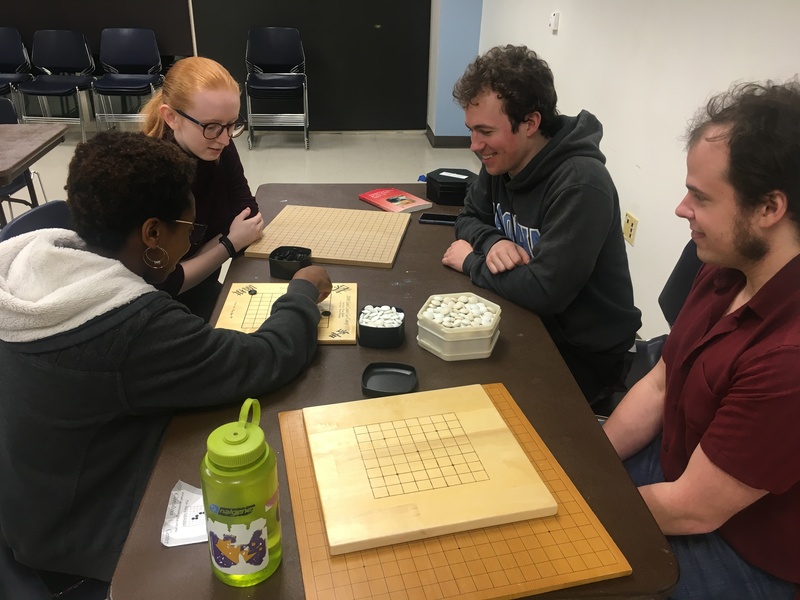 Classes are 5 days a week from 9:45 a.m. – 12:45 p.m.
Introduction to the basics of modern Korean, including the pronunciation of spoken Korean, the writing system of Hangul, communication and reading skills in controlled contexts, and fundamentals of grammar. Intensive course. Prerequisite, KOR 101. Develops speaking and listening skills for everyday communication, reading skills for simple narratives and descriptive texts, and understanding for core grammatical patterns. Intensive course. The summer program is available to current UNC students, incoming freshmen, students from other universities, community members, and rising high school seniors. In 2017, Morgan Pitelka, Professor of Asian Studies and Director of the Carolina Asia Center, applied to the Consulate-General of Japan in Atlanta for UNC to be a designated 2018 Kakehashi program school. After UNC was chosen for the Kakehashi project, he collaborated with the Kenan-Flagler Business School to launch the one-time program. 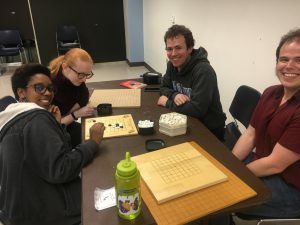 Thankfully, I was recently able to do an email interview with one of the participants of the Kakehashi Project, Graysie Carreiro, who was generous enough to answer some questions I had for her about the program. The interview is as followed with minimal editing. And thank you again to Graysie Carreiro for taking her time to provide these answers. My name is Graysie Carreiro and I am a senior (May 2019), pursuing a Bachelors of Science in Business Administration and a Bachelor of Arts in Asian Studies (Japanese). After graduation, I’ll continue my time at Carolina through a year with the Masters of Accounting Program at Kenan-Flagler Business School. What was the Kakehashi Project and why were you interested in participating? Did you have an interest in Japan or were you more interested in getting a global business experience? I learned about the opportunity to participate in the Kakehashi Project through Kenan-Flagler Business School. One of my professors approached me after class one day and told me about the opportunity to participate in a Government of Japan initiative that recently connected with Kenan-Flagler. We didn’t know much about the program at the time – only that it was an initiative by the Japanese government to connect young North American business students to Japan. However, my professor believed the integration of business and Japanese culture matched perfectly with my personal background and my career goals and suggested I apply for the program. 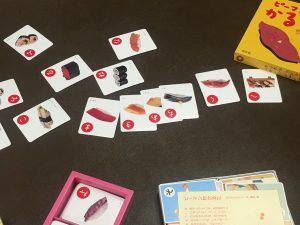 My personal connection to Japan runs deep. I spent 7 years of my childhood in Japan and am pursuing a double major in Business and Japanese. When I heard about the opportunity to return to Japan and integrate both of my majors through the Kakehashi Project, I knew I couldn’t pass it up. The Kakehashi Project (or the “Bridge to Tomorrow” program) is an exchange program, promoted by the Japanese Ministry of Foreign Affairs. Through the program, I knew I’d be able to further my knowledge about Japan, practice my Japanese language skills in formal situations, and gain insight into the business environment within Japan – a context where I hope to work one day. What was the most valuable thing that you learned from the program? Japan is at an extremely interesting socioeconomic cross-roads. Population decline has limited the domestic labor force and prompted immigration reform. New global alliances (such as the Trans-Pacific Partnership) open up new avenues for trade while political tensions are molding new barriers for Japan. Japanese businesses are grappling with these changes and are learning to take advantage of the opportunities for growth that result from them. Although I spent quite some time in Japan during my childhood, I learned so much about the Japanese business context through my time on the Kakehashi Project. Getting the opportunity to speak with government officials, CEOs, and even local families about such a dynamic socio-economic environment increased my understanding of the business environment in Japan and gave me a better appreciation for the complex global economic forces currently at work. As a growing businesswoman myself, I was particularly struck by the changing role of women in the Japanese workforce and in Japanese society as a whole. Japan is actively initiating reform for women in business and is creating opportunities for them to balance family lives and their careers. This change is a stark contrast to Japan’s deeply-rooted traditional family and gender roles. The future is bright for women in Japan. **One particularly impactful part of the Project was a 24 hour homestay with a local family in the country-side. Through our time with the Onuma family, other participants and I not only got to experience “real-life” in Japan, we also learned the value in human connection beyond cultural and linguistic barriers and formed lasting friendships that we still maintain today. This part of the program was probably the most memorable for me. Did this program change your study abroad intentions or academic plans for the future? Participating in the Kakehashi Project gave me even more motivation to work with a Japanese-related company one day. It’s one thing to grow up in and around Japan and to understand the cultural dynamics that govern society. It’s quite another thing to see those cultural dynamics applied to business contexts that make a difference in the lives of the every-day person. Through the project, I was also able to appreciate the little things about Japan that I love so dearly – things like white rice and miso soup with every meal, rolling mountainous countryside, and polite bows every time you meet someone new. I think the program did a wonderful job of exposing us to Japan’s large business trends while also candidly introducing us to beautiful aspects of the culture, society, and everyday life. 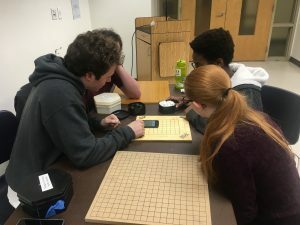 Would you recommend this program or other programs like it to other students? I would absolutely recommend this program to other students. Getting the opportunity to apply your classroom learning in a foreign experience is one that is so rare and so beneficial to learning. One of the great benefits to the Kakehashi Project at UNC was that we combined students from Kenan-Flagler Business School and the Asian Studies Department. This mixture of backgrounds provided such a vibrant, dynamic learning community during our pre-departure class time and also through our in-country experience. We all learned so much more through each other’s experiences than we would have if we had gone in a more homogenous group. A required component of The Kakehashi Project was that we record our experiences and impressions of Japan through social media outlets. I created an Instagram account (@callmegraysie) specifically for my time abroad at UNC where I recorded all my experiences. Perhaps students interested in participating in The Kakehashi Project might find it useful. I’m also very excited to share my experience and am available for questions at any time via email (Sarah_Carreiro@kenan-flagler.unc.edu). Last week, I was able to interview Japan Club during their Game Night Event on Thursday at the Student Union. The whole team participated in the interview adding their own say in the questions that were asked including some personal experiences. Unfortunately, I couldn’t transcribe everything but here are the highlights that you need to know. 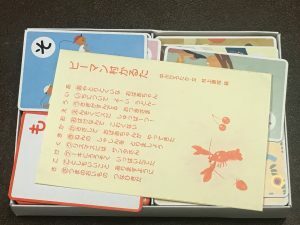 Sara: The purpose of Japan club is to provide a safe space for anyone interested in learning about Japanese culture or those who are interested in Japan in general. Jasmine: I didn’t really have a group to talk about my interest in Japan, so this group helps me learn more about Japan with people that have similar interests as me. Catherine: Before I really came here, I was from a really small town and coming here to join a group that enjoys Japanese culture as much as I do is great. Q2: What about Japanese culture interests you and why did you particularly join this club? Catherine: I had a Japanese neighbor back in Texas and would go over to her house when I was 6 because we would watch anime together. I saw these female superheroes and thought that was so cool because I didn’t see anything like that back then. After that, I later grew to love the language and asked my friend’s mom to teach me a bit of Japanese but then I moved to North Carolina. So I started to self-study and got into more anime and music. Jasmine: In middle school, I was one of those people who thought anime was weird and so I wasn’t interested in it until my friends introduced me to it around 8th grade. I thought anime music was beautiful so I got interested in learning the language. I wanted to take an online course at my school but they didn’t have it so I decided that I wanted to study abroad in college. Now, I definitely want to go on the Tokyo Summer Abroad program. Q3: What are the usual activities of this club and what special activities do you do during the year? Sara: We hold regular events every other week, usually presentations to present new Japanese culture or introduce studying abroad in Japan. 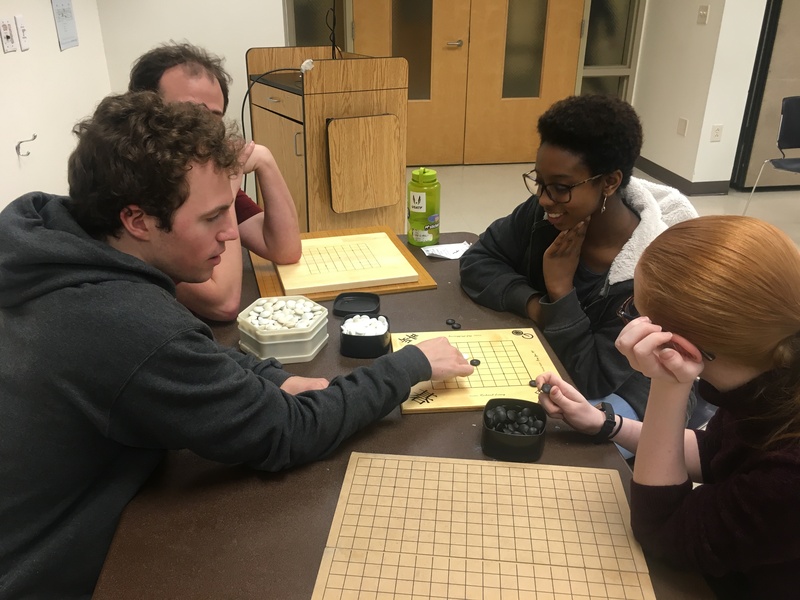 We recently had a special guest, a professor in the linguistics department, who introduced the linguistics of Japanese. We also usually do nice study break near exam time to watch anime after club meetings sometimes, too.There is also the DC Trip to go to the Cherry Blossom Festival in the spring. Sara: I hope that Japan club survives long after I graduate while my short term goal is fundraising. Q5: How do you become a member of this club? Sara: Just come and talk to us! We meet every other Thursday at 7pm in the Student Union (Rm 2518). And you just have to pay $5 dues. Starting with this post and for the rest of the semester I’ll present a blog series based on different Asia-related clubs around UNC. To start off this new series, I was able to interview a new club called UNiCorn K-pop Dance Cover Team, which as you can guess, is a club that does dance covers of Korean pop songs. Named with UNC in mind, hence UNiCorn, not Unicorn, the group has already achieved some popularity through performing at Knite, a showcase of all things Korean held by KASA, and by uploading their first cover of a song titled, “What is Love?” by a popular Korean girl group called Twice. At the time of writing this, the video has reached over 400 views on YouTube and was uploaded back in December so the members had to perform outside in the freezing cold showing how passionate they are about K-pop and their club. They even have a fandom name, Corn! But how did this club begin and what can we expect from the Unicorns? Well, it all started when the president of the club and long-time lover of K-pop, Sharon Ge, noticed on her arrival to UNC from Washington State University that there were no dance clubs focused on K-pop culture. She also noted that many of the dance clubs on UNC were restricted to higher-leveled or skilled dancers and so felt she needed to create not only a space to spread her passion for K-pop and its dances but also a friendly environment for students who have little to no experience dancing, let alone to K-pop (which is quite hard at times, I know from experience). And so, she along with some friends who held similar interests in K-pop, formed this dance team late last semester to provide a club that shared K-pop culture for anyone and everyone, regardless of your experience, ethnicity, or gender. 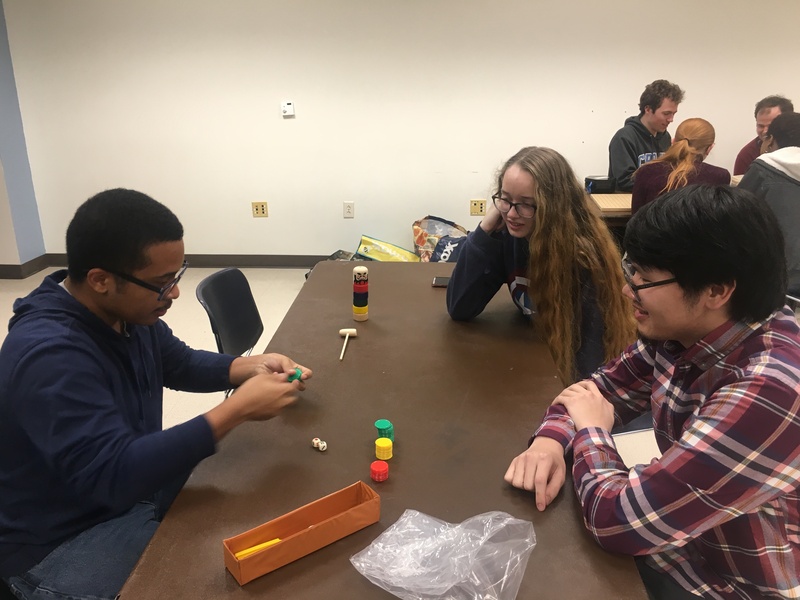 Sharon also aimed to reduce academic stress by providing a fun activity that anyone can try. So why not go take the stress of studying by Kpopping? I’m sure after that riveting exposé, you are interested in knowing just how to become involved and be a fellow Unicorn. Well, Sharon admitted that they are still working out how membership will be defined but ultimately you should expect a few things. First, you have to participate in cover practices and be ready to do stage performances around campus and the community as the team is connected to several other Asia-related clubs like KASA and Moonlight. And you should expect dues of $20 for the whole school year. However, if you are not interested in being an official member and just want to enjoy the lighter side of dancing to K-pop, then the team offers monthly dance workshops that will teach a couple of popular dances for the general public so anyone can attend for FREE! For the future of the club, Sharon and the others hope to continue performing and dancing at such events as Admitted Students Day, Arts Everywhere, the Asian Cultural Festival and more while earnestly trying to recruit others with a similar interest in K-pop. I would also encourage anyone who has a mild interest in exploring other cultures in general to give this club a shot especially if they enjoy dancing. The club members were very earnest about wanting to include everyone and anyone and are eager to engage with their community especially non-Asians since clubs like these can be viewed as more of an Asian thing. They plan to take dance requests, organize parties and Korean drama viewings, and more. The only thing you need to do is RSVP and show up! I had the chance to interview the newest addition to the department, Professor Jonathan Kief, who teaches within the Korean program on the relationship between South and North Korea through literature and culture. Talking to him led to some stimulating conversation on how he became interested in North and South Korea specifically. He began with that his interest in North and South Korea just happened randomly in fact. Back at Columbia University he needed a summer job and only the East Asian department accepted him. During his time there he grew interested in taking East Asian-focused courses further growing his interest in East Asia, specifically South Korea. Yet, he noticed the lack of literature courses pertaining to South Korea. This sparked an interest in pursuing a degree in South Korean literature. During his research, he noticed a lot of North Korean sources cropped up allowing him to delve more into researching the other Korea as well. Professor Kief explains how he feels North Korea has been left out of a lot of courses relating to Korea despite the shared history and culture the nation had with South Korea before the Korean War. He feels it’s necessary to look at both Koreas to understand the interactions between the two while also adding more depth to the one dimensional view we typically have on North Korea (e.g. nuclear weapons, crazy Kim Jong-Un, backwards civilization). Currently, he is looking at the interactions between North and South Korean culture in the late 1940s through the 1960s. He explained that though we may look at the countries as two separate literary spheres, they emerged at the same time and act in competition with each other though they are interrelated. He also added that Japan mediated literature between the two Koreas during this time. Professor Kief’s future research involves looking more deeply into this relationship through the use of radio during this time. As for how this research will be incorporated into future courses at UNC, Professor Kief has proposed a number of courses including ones like “Cold War Culture in East Asia” which would look at not only the Koreas, but China, Japan, Taiwan, and even Hong Kong and another course titled “Imagining the City in Modern Korea” which would be about how urban space is represented in literature and film within history. He also hopes to include North Korea as much as possible in any and all courses he proposes in the future. Finally, our discussion ended with a small talk about the future Korean major. With a tentative fall 2019 launch date, we can’t give away too many details, but after my discussion with Professor Kief, it’s a major to look forward to and will be worth the wait! Once again, we extend a further warm welcome to him here at UNC and eagerly await more of what he will bring to the department and the Korean program for the future. 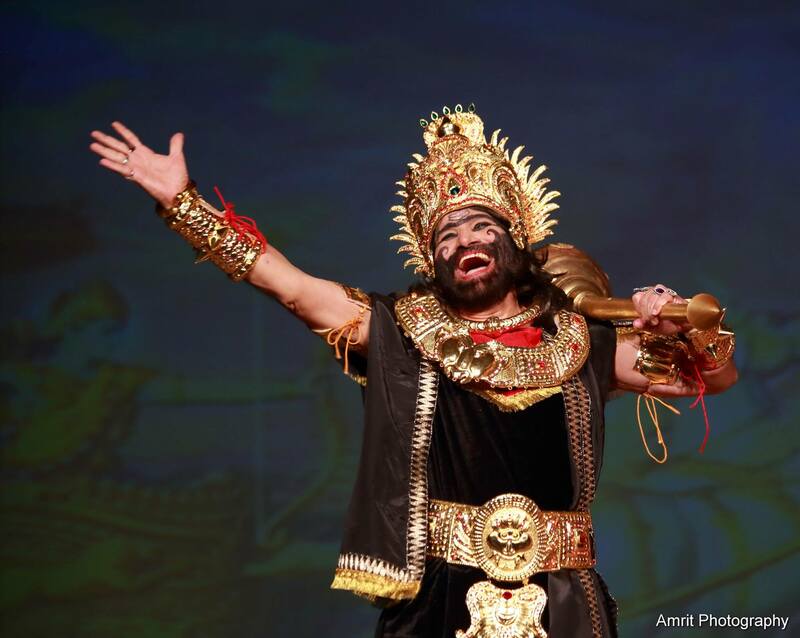 Prof. Afroz Taj and John Caldwell performed in the annual community Ram Leela performance on October 21. Based on the ancient Sanskrit epic “Ramayana”, the Ram Leela tells the story of Lord Ram’s exile with his wife Sita and his brother Lakshman, Sita’s abduction by the demon king of Lanka, Ravana, and her ultimate rescue. 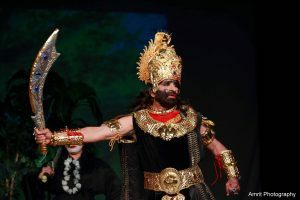 The performance, sponsored by the Hindu Society of North Carolina and NC Hindi Vikas Mandal, is held on the Hindu holiday Dusshera, which celebrates the victory of Ram over Ravana. 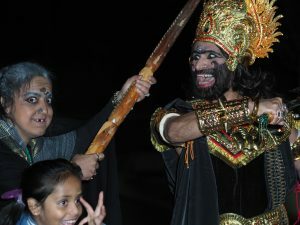 Afroz plays Ravana (the villain) and John plays Hanuman, the monkey god. Afroz and John have been performing in this event since 2010.